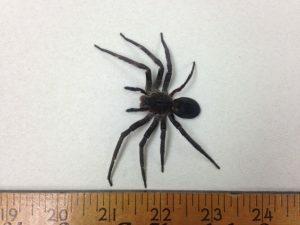 HONOLULU — A venomous spider was captured by agents from the U.S. Customs and Border Protection (CBP) in Honolulu on Mon., April 13th. The spider was found in a container of granite and flagstone from Brazil that was being off-loaded in Honolulu. 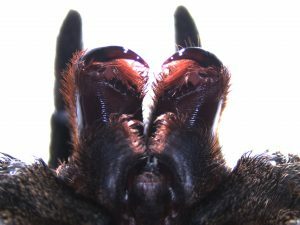 The CBP agents sealed the container and immediately turned the spider over to entomologists at the Hawaii Department of Agriculture (HDOA), who identified it as a venomous Brazilian wandering spider (genus: Phoneutria). 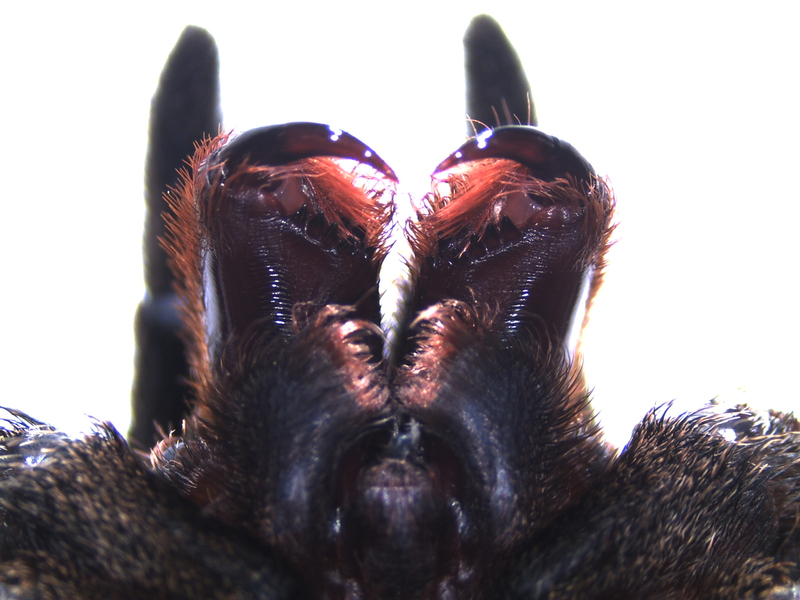 The brown-colored spider had a leg span that measured about 3.5 inches. Yesterday, a second container from the same shipment was opened and another spider was found and killed immediately by a worker unloading the container. 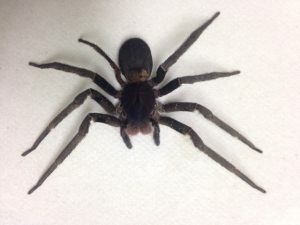 The spider was destroyed to the extent it could not be positively identified, but the worker said it looked like the photo of the Brazilian wandering spider. The second container was sealed and quarantined. The Plant Quarantine Branch is working with the importer to have the containers shipped back to Brazil. The CBP is responsible, not only for keeping terrorists and their weapons out of the U.S., but also screening international visitors and foreign cargo. The U.S. Department of Agriculture is charged with inspection of agricultural material and animals transported from foreign countries into the U.S. and the HDOA is responsible for agricultural inspections from ports within the U.S. entering the State of Hawaii. The Brazilian wandering spider is found in most areas of South America; however, it is not established in North America. They are considered one of the most venomous spiders in the world and may grow to have a leg span of five inches. Their venom is a strong neurotoxin that can cause increased blood pressure and heart rate, vomiting, blurred vision and intense pain where the bite occurs. This species of spider does not spin webs, but wanders around for their food – thus the name. Their diet consists of insects, other spiders, lizards and small rodents.